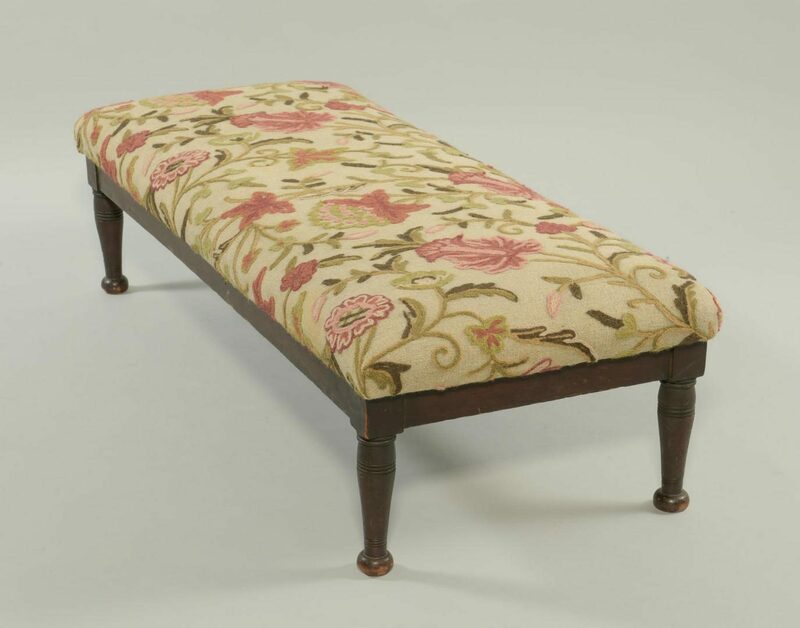 Sheraton style upholstered long footstool with turned legs terminating in ball feet, crewel embroidered upholstery. 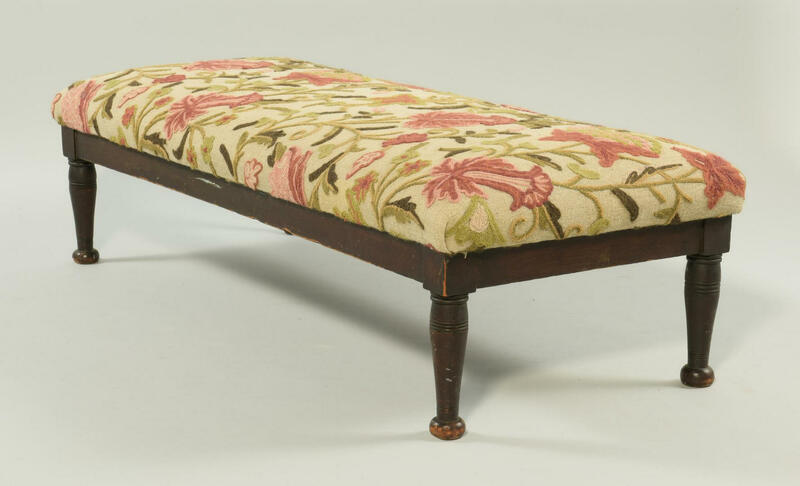 11 1/4" H x 41 3/4" L x 17 1/2" D. Late 19th century. 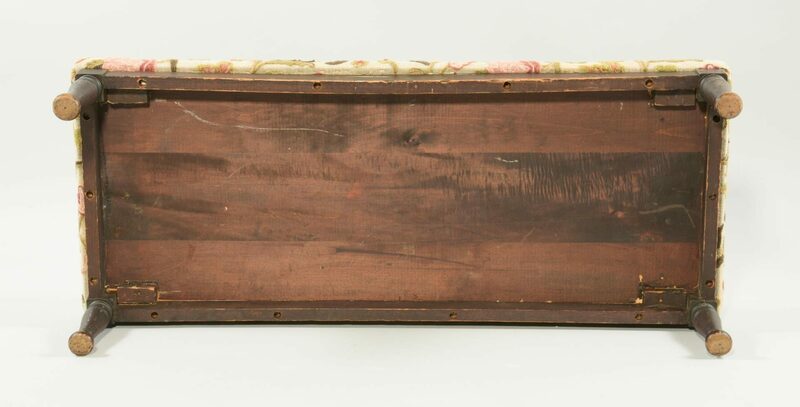 CONDITION: Expected general wear to base, especially to feet.